There are so many unpleasant things about flying. You have to wait in line after line, take off your shoes, belt, and jewelry, and somehow make sure your luggage stays intact. And then, once you've made it onto the plane, there are the awful movies that most airlines play—if you even get a movie. 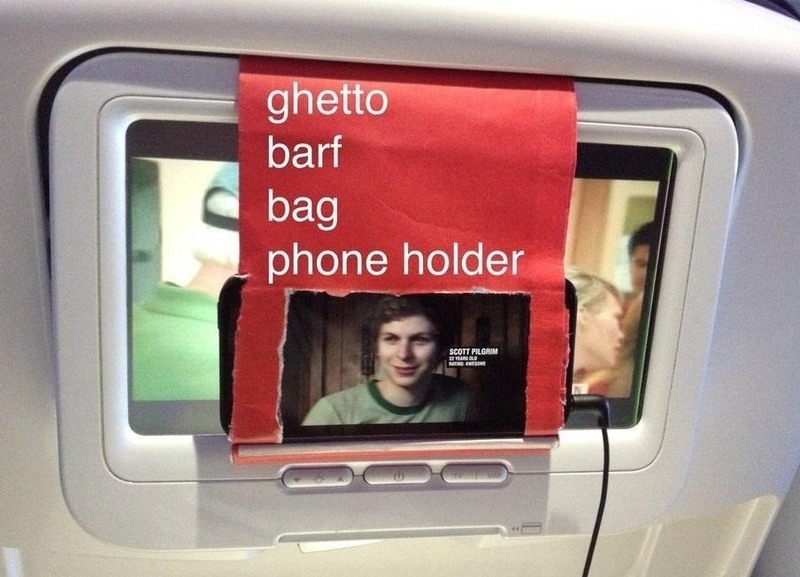 There's not much you can do about the security procedures, but Redditor asthmaticatom figured out how to get around the terrible in-flight movie situation by turning a barf bag into a smartphone holder so that he could watch his own videos instead. Unless, of course, you're the motion sickness type, in which case I'd say the barf bag will probably serve you better with its original unmodified purpose. 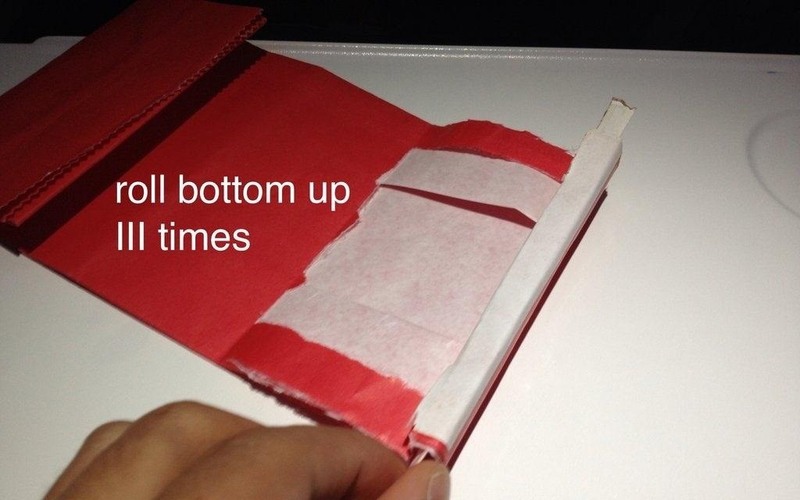 This is probably one of the simplest hacks you could ever do. After ripping out a section for the screen, asthmaticatom rolled up the bottom of the bag and folded back the metal band to hold it in place. 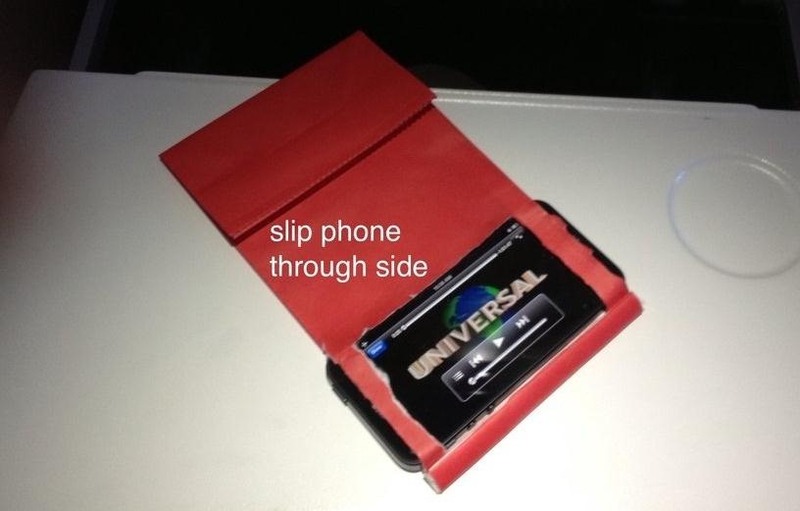 Then, he slid his phone into the opening and attached it to the monitor. That's it! 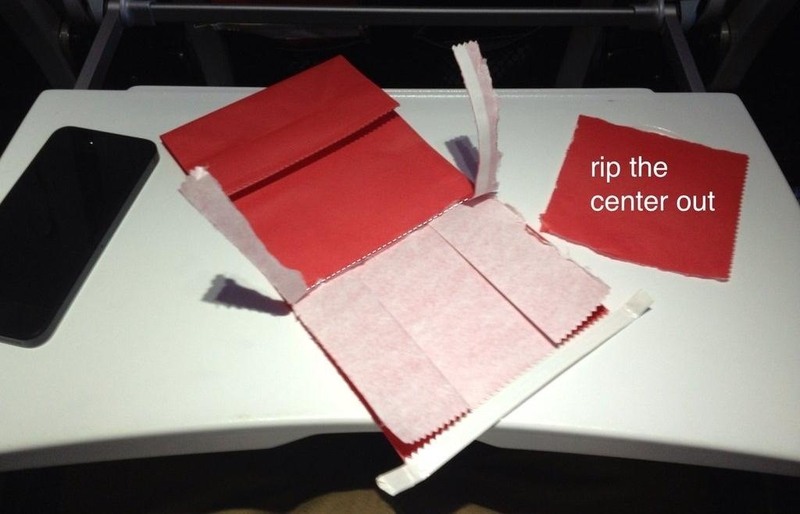 Of course, the only downside to this trick is that you have to be on a plane that has screens on the backs of the seats, but I'm sure you could find a way to attach it to the seat without a monitor. Check out the Imgur album to see all the steps. What else could you turn into a makeshift phone holder? Share your ideas in the comments. News: Flying Time Machine from the movie "Back to the Future"